A large sterling silver heart with a beautiful cut-out design.. Made from sterling silver and presented on an 18" chain. Cubic Zirconia Heart Droplet - Pendant was published by Kevin Mayhew in February 2014. 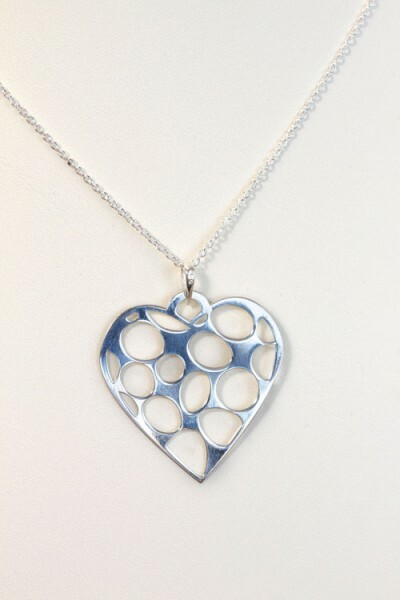 The ISBN for Cubic Zirconia Heart Droplet - Pendant is 5000346. Be the first to review Cubic Zirconia Heart Droplet - Pendant! Got a question? No problem! Just click here to ask us about Cubic Zirconia Heart Droplet - Pendant.